Africa's Poaching Crisis: How Do We Stop It? 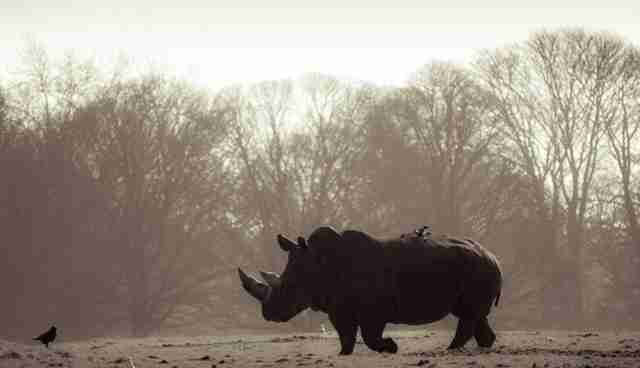 Poaching in Africa has hit the headlines many times already this year. 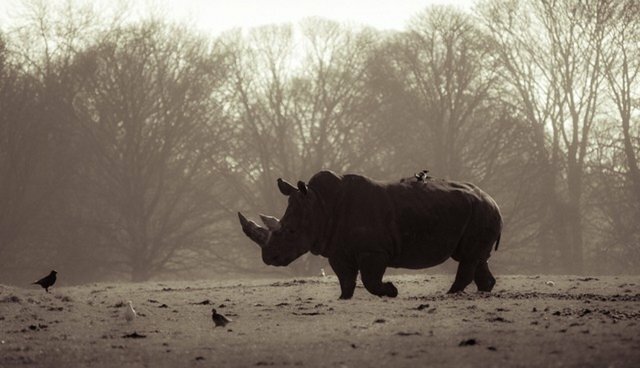 Recently, wildlife officials in South Africa released the devastating statistic that 558 rhinos have been killed in 2014 so far, making it likely that the number of deaths this year will exceed the 1004 recorded for 2013. 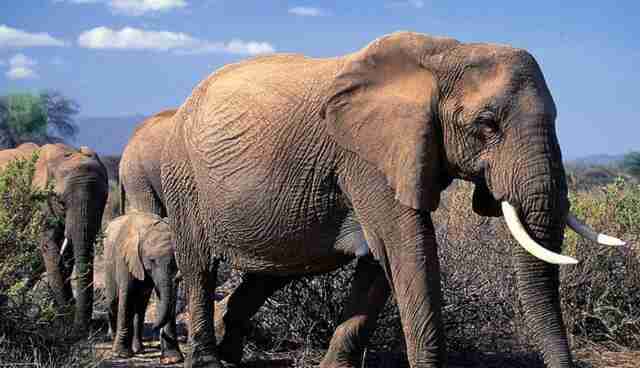 And it is not only rhinos; elephants have also been hit hard with an estimated 20,000 killed in 2013. All over Africa, from Mozambique to Chad, wildlife authorities are reporting massive increases in poaching for the ivory trade. So why is poaching at an all-time high and what can be done about it? Poaching levels this high have not been experienced since the 1970s and 80s when elephants and rhinos were poached almost to extinction. This occurred because the demand for ivory in Asian countries, where ivory is used to treat ailments varying from hangovers to cancer as well as in carvings, soared at the beginning of the 1970s. International campaigns began, security was increased and wildlife sanctuaries set up. Finally, in 1989, CITES (Convention on International Trade in Endangered Species) banned international trade in ivory. In a symbolic gesture, Kenya burned its ivory stockpile, worth an estimated $3 million. Following this, elephant and rhino numbers increased dramatically in what was one of the most impressive conservation success stories to date. But since 2007 poaching has been on the rise. This is again thought to be due to increasing demand for ivory in Asia, particularly in China and Thailand. Lawlessness, weak governance and corruption in many African countries also provides ideal conditions for the illegal killing of elephants and rhinos where arms are readily available and poverty means that locals and underpaid wildlife officials, police and military personnel are easily threatened, recruited or bribed. Wildlife authorities can no longer keep up with the level of poaching. In comparison to the 1970s and 80s, poaching units are now much more sophisticated, organized and well equipped. The use of helicopters, night-vision equipment, tranquilizers and silencers allows poachers to target animals at night and avoid law enforcement. The situation is now reaching drastic levels and conservation organizations have warned that time is running out for both rhinos and elephants. Steps need to be taken, and taken fast, if we are to save these charismatic species. So what can be done to stop the poachers? There are lots of ideas out there. One option is to legalize the trade of horns and tusks. Supporters of this course of action argue that this would take the trade out of the hands of criminals and that, by flooding the market, the price of ivory would drop along with the incentive to kill them. However, this has not yet been properly evaluated and there are fears that illegal traders would still undercut official operators. Since the current ivory ban is not being enforced effectively, legal trade is unlikely to be either. Legalising trade might also increase demand for ivory. More work is needed to improve security, particularly at borders between countries and at key locations in the ivory trade chain. To be effective, this needs to take a multi-country and multi-organization approach to ensure security all along the common ivory routes (most ivory leaves via East African seaports). Namibia are utilizing their armed forces to sure up their borders. More support and training are needed in addition to improved law enforcement to enhance anti-poaching tracking and intelligence operations. A common suggestion is to remove horns and tusks from animals, the idea being, for example, that a rhino without a horn will not be poached. There have been some successes with this method but it doesn't always work. Many hornless or tuskless animals are still killed, either to access the "stump" of ivory left behind or out of vengeance. Animals need their horns or tusks for social and feeding behavior and they also grow back with time. The process of removing them is risky for the animals as well as costly and logistically difficult. 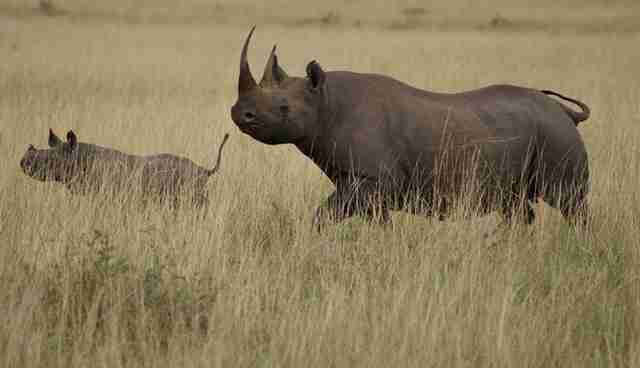 Save the Rhino recommend that dehorning is used as a last resort alongside other anti-poaching measures. Following Kenya's example back in the 80s, China recently destroyed its ivory stocks for the first time, sending a message to to the world that trade in ivory will not be tolerated. But there is little evidence of whether this is anything more than a gesture or if it actually has any impact on poaching. Education and public awareness both in Africa and in Asia, where the demand for ivory originates, is essential but this may be too slow a process to save the world's elephants and rhinos. At a rhino reserve in Kenya, innovative drone technology is being tested to help rangers in the fight against poaching. These drones, which also operate after dark using night vision and thermal imaging, can be operated via laptop and act as an extra pair of eyes, helping to locate poachers within the reserve. More research is needed but initial trials have been positive. 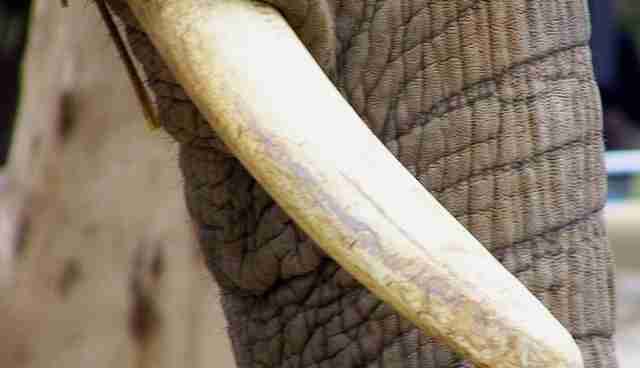 Another innovative idea is to modify horns and tusks in some way to deter poachers. At one reserve in South Africa, rhino horns are injected with a mixture of pink dye and poison. The dye can be detected by airport scanners and when ground into a powder, and the poison is not fatal but enough to make the consumer very ill. There are however mixed opinions on this approach. It is feared that although poachers may be deterred in areas where the scheme is highly publicized, it is impractical for animals free-ranging in very large areas; it may just displace poaching to another area. And logistically it would be impossible to apply this technique to a large number of animals. Each possible solution has its own pros and cons. Some are not possible logistically on a large scale but may be useful in smaller areas. Overall, a combination of these ideas is probably the best way to target poaching. This all paints a very gloomy picture but unfortunately there are few success stories to relate. CITES, however, remains optimistic, stating that some elephant populations remain stable and that for the first time, more ivory seizures are occurring in Africa rather than Asia, indicating better policing in East Africa and perhaps even a slight lowering of demand in Asia. In July 2014, the United Nations praised Kenya's role in taking down an international crime syndicate found to be smuggling ivory to China. Elephants and rhinos have been brought back from the brink once before; let's hope it can be done again. But for now, the war rages on and these species remain at the edge of extinction. - By Rose Argall Rose Argall is a reseearch and development Intern at Frontier, an international non-profit volunteering NGO. Frontier has over 300 dedicated conservation and community development projects as well as plenty of inspiring gap year ideas to help make your time out meaningful. For more information on all the opportunities available please visit www.frontier.ac.uk. Check out Frontier's blog ‘Into the Wild' where you can read more articles like this! Happy reading!